Machine Sentry® vibration and process sensor type MSO-1 is the ultimate condition monitoring solution. Machine Sentry® MSO-1 is ideally suited for monitoring of pumps, fans, gearboxes, cranes, compressors, wind turbines, gas and stream turbines, electric motors and many more. It is perfect for your most critical assets. The Machine Sentry® web platform provides access to detailed condition monitoring data, with no historical restriction, which can be supported by world leading condition monitoring engineers. Secure access is available from anywhere in the world via a standard web browser. In addition the mobile software operates on industry standard AndroidTM tablets or smartphones including ATEX certified versions. Machine Sentry® MSO-1 has 8 high speed dynamic inputs, with an additional 4 static inputs available as an option. portal. 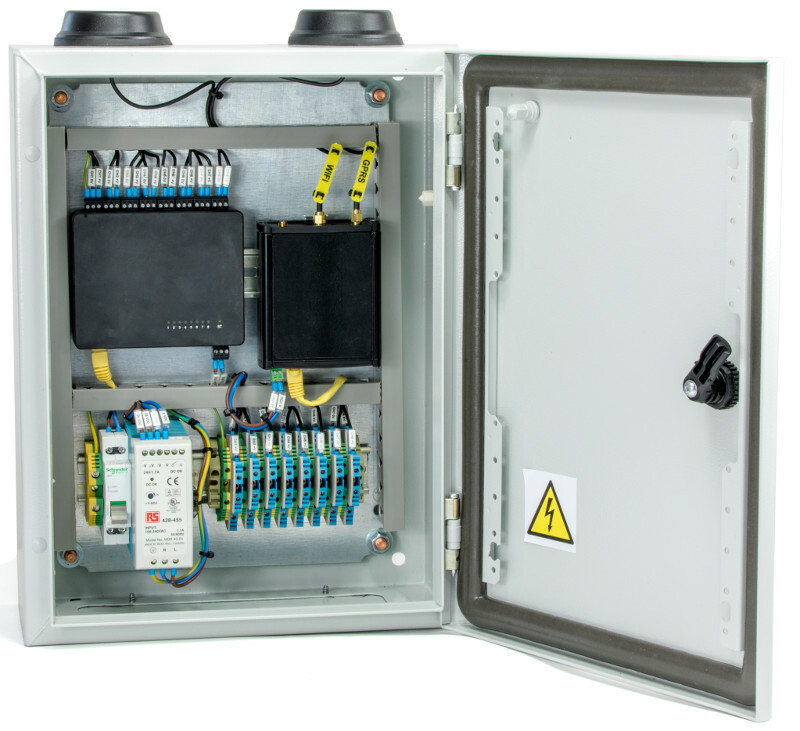 The enclosure can also be upgraded for ATEX environments. Its small size, low power consumption, high storage capabilitiy, make the system very easy to install, operate and maintain, while delivering the functions required by expert analysts or plant operators.